CONGRATS JILL - Boot Camper of the Year! Body Buster Fitness Bootcamper of the YEAR 2013! Congratulations Jill - Body Buster Fitnes Bootcamper of the YEAR 2013! A big congrats goes out to Jill C. in the High Park 7:30pm class. Jill is an amazing Body Buster Bootcamper and has come such a long way in her many years taking the program. Jill's positive attitude is inspiring and a pleasure to have in the class. She is dedicated, truly committed to her workouts and gives her all each and every class she does. Jill has made Body Buster a part of her life throughout many life changes - including working out Body Buster style before and after giving birth to her daughter Nov. 2012. Jill's results have been incredible and are a reflection of how hard she has worked to keep a fit and healthy lifestyle in the Body Buster Fitness Program. Jill has lost a total of 82 lbs - 30 lbs a few years ago when she first began with the program and then 52 lbs after her daughter was born (after gaining 40 lbs during her pregnancy). Jill is the real deal. She comes to class to work on herself, to push past barriers and accomplish as much as she can while she's there. She continually revisits her nutrition as well to maintain a healthy and balanced life. We are very proud of and happy for Jill. She has come a long way since beginning her journey with Body Buster and continues to meet and exceed fitness goals as time goes on. Congratulations Jill - Body Buster Bootcamper of the Year 2013!!! SPRING is just around the corner…the season of CHANGE! We want to help you make POSITIVE CHANGES to your health and fitness! Body Buster Bootcamp is a different and extremely effective approach to fitness. Self-motivation is hard, especially when it comes to fitness. 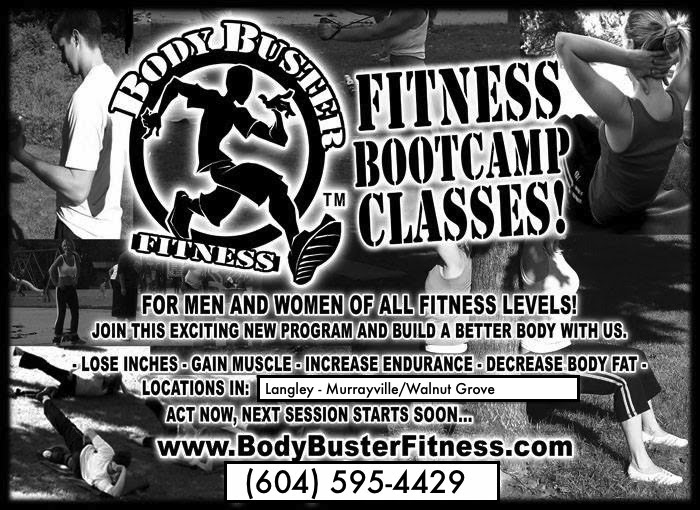 Body Buster’s Bootcamp program is designed to keep you challenged, interested and continuously seeing results. This increases your motivation to get fit, which in turn makes you feel great, look awesome, and WANTING to come back for more! The group fitness program allows you to customize your fitness experience, while your scheduled class keeps your routine regular and effective! Qualified Body Buster trainers are there to guide you through the challenging program, keeping you as physically active as possible, providing nutritional advice and exercise modification tips, as well as a positive environment. 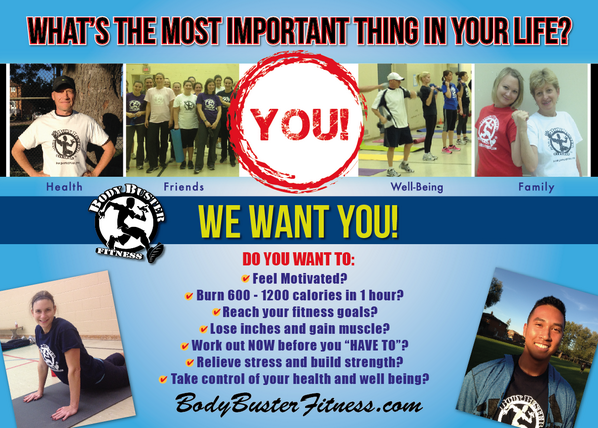 This is not your ordinary bootcamp program – it’s Body Buster Fitness! Check out the Official Body Buster Blog for this great new post! More and more men are working out in a Group Fitness environment these days. Not only can you work closely with a qualified trainer but the efficiency and variety of a group fitness class will push you past a plateau and challenge you to learn something new! I'm always looking for a good challenge and a way to push myself harder. Being a hockey player, I know a good workout and love to test my endurance and strength. Body Buster Fitness allows me to use my athleticism and push it to a new level with the activities that provide a range of conditioning techniques that work your whole body while targeting specific muscle groups. The workouts have proven to provide results and have improved my overall fitness, which has consequently made me a better hockey player. I can push myself and the trainers push you even more, which gives results that you'll be happy to see. There are multiple ways you can modify an exercise to better suit you or push your limits to really reach your fitness goals. If you are a fit guy or a guy looking to be fit, I challenge you to sign up for Body Buster to improve your strength and fitness! -Andrew H.
Register For The Next Program Now!